Opinel and L.L. Bean team up for a special knife. 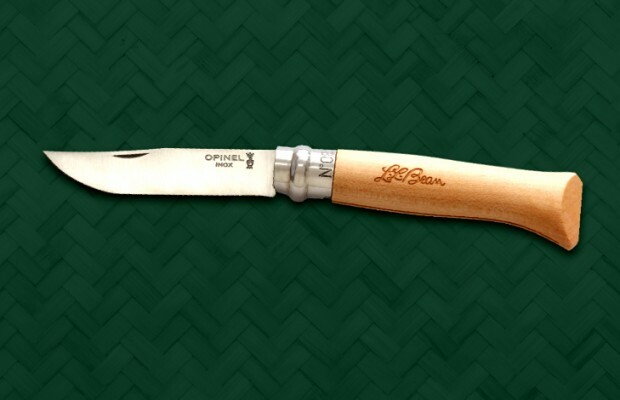 Opinel has just teamed up with L.L.Bean to offer an exclusive new version of the Opinel No. 8 with a meaningful connection to the outdoor apparel retailer. Called the Moosehead Knife, it dresses up the classic No. 8 pattern with handles made from 100 year old maple reclaimed from Moosehead Lake in Maine, L.L.Bean’s home state. The maple on the Moosehead Knife was pulled from the floor of Moosehead Lake (shown below) and shipped to France, where Opinel crafted it into these knives. Opinel produces knives in a range of sizes, but the No. 8 is particularly revered for its ease of carry and versatile 3.25-inch blade.